“As a dentist, I am passionate about helping my patients achieve the smile of their dreams through my artistic skills and technical abilities. Whether it is moving teeth to create a straighter smile, construction of dentures for a patient with missing teeth, or getting a patient out of pain, the gratitude from the person who is now able to smile confidently again is worth the effort. 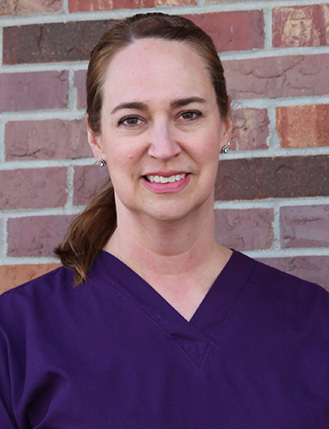 Devoted to helping each person she cares for to attain and maintain great oral health along with a beautiful smile, Dr. Janna Spahr is an exceptional dentist. She believes in working with each patient to determine their unique clinical needs and to understand their reasons for seeking dental care, and then creates custom treatment plans that are right for their specific situation. Knowing that an educated patient is best able to make good decisions about their oral healthcare, Dr. Spahr focuses on patient education, to help her patients learn about the connection between a healthy mouth and overall wellness. She also focuses on preventive care, knowing that stopping problems before they start, and correcting small issues before they become large ones, allows a patient to keep their teeth, and have a beautiful smile, for years. Each year, Dr. Spahr participates in numerous continuing education offerings to stay current with technology and procedures that improve treatment results for her patients. She has studied orthodontic training through Progressive Orthodontic Seminars, and Invisalign® training for general dentists, as well as pursued additional training in oral surgery, pediatric dentistry, endodontics and periodontics, cosmetic dentistry, and whole-mouth reconstruction. 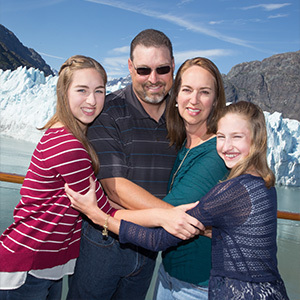 Dr. Spahr lives in Milford with her husband, Dr. Jeff Spahr, and their daughters, Savannah and Sarah, as well as three dogs, a cat, seven chickens, and a flock of guineas. In the summer, you’ll find her working the garden, and year-round she is a taxi driver for her daughters’ various activities. She loves watching her girls play sports and dance. When she has the time, Dr. Spahr enjoys golfing and playing volleyball and basketball.